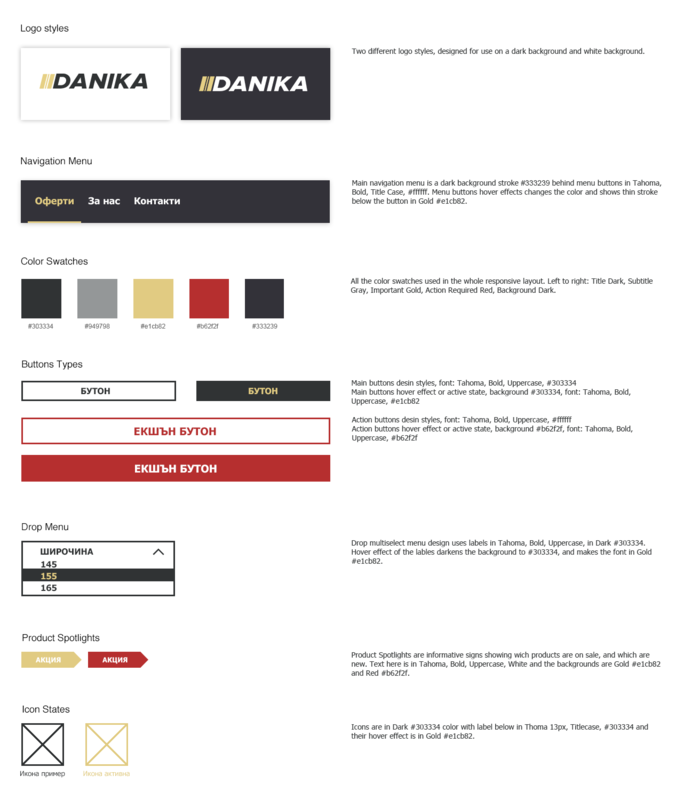 The responsive e-store website of Danika 2002 Ltd. 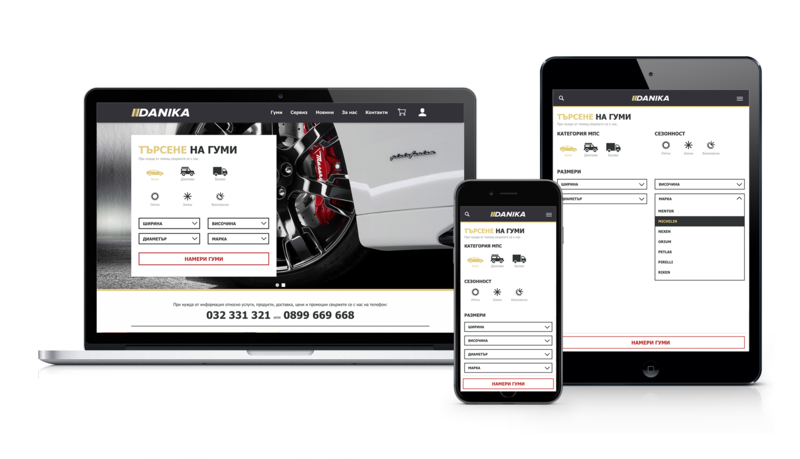 The website provides the customers with a modern tool for choosing and purchasing specific products from a dynamic catalog, automatically sinking prices, offers and in stock quantities with other major dealers. 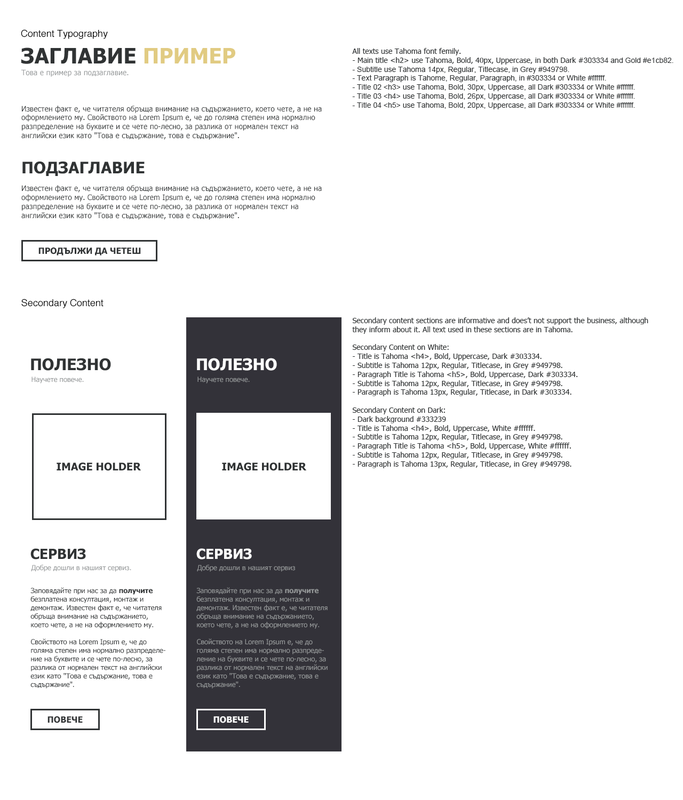 This is аn experience design project, where we did the planning, strategy, branding, design and the development. It was great collaborating with the developer’s team of Fragmental Studio. The main challenge in the project was that the use of the website requires working with a sophisticated search tool when trying to find the right product for you, so we had to work closely with the client to understand their essence of business.